For me, and I think for many kids who grew up in the ’90s, Missy Elliott was one of the most important video stars of our generation. I remember my first time seeing “The Rain (Supa Dupa Fly)”, Missy’s single debut in which she infamously dons a gigantic inflated trash-bag suit, and thinking it was the most insane thing ever. Despite growing up around MTV, the cultural significance of this and the era-defining aesthetic of Hype Williams’ videos were, for the most part, just a sense impression to me. All I knew was that Missy was so effortlessly cool and so immediately futuristic that everything else seemed boring in comparison. As I got older it became clear that Missy was in some ways the anti-rap star of her time, especially in regards to the norm for female artists. Her wardrobe choice in “The Rain” was not only a parallel to the era’s visual style but also could be seen as a critique of body image, standards of beauty and the industry that initially rejected her. 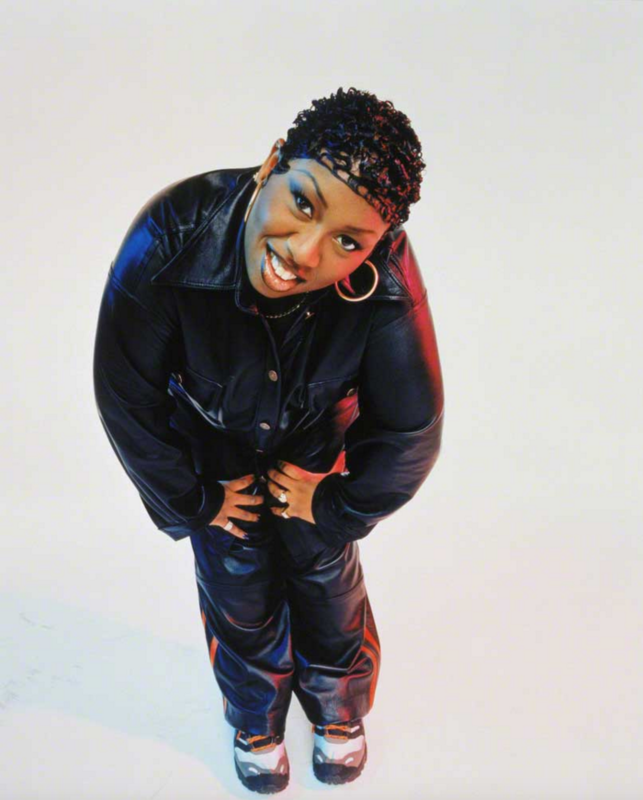 In an interview on VH1’s Behind the Music, Missy said, “I’ma stay big, and I mean literally.” The eccentric humor and flawed relatability of Missy’s personality is in part what made her so progressive and almost punk in attitude. She was a feminist icon and a style icon without overtly trying to be either. Today we tend to be more hyperaware of gender issues in commercial media. The objectification of women—especially in rap music—has been criticized openly, and the result has been varying degrees of progress. The pseudo-feminist message of an artist like Beyoncé, who in my opinion reads as much more impersonal, owes a large debt to Missy. Rather than #flawless, Missy Elliott came across as real and down to earth, a star who was unafraid to be critical and outspoken, but remained self-deprecating. She was just herself, and her music had the ability to carry these messages without being defined by them. Her influence today has obviously extended well beyond hip-hop, too: the trite, commercially gift-wrapped message of a song like Meghan Trainor’s “All About That Bass” not only wouldn’t exist without Missy Elliott, but comes across as disingenuous and forced in comparison. Beyond her social significance, Missy’s weirdo visual style and futuristic club-oriented sound was obviously important not only to hip-hop, but to newer aesthetics that have become relevant in the post-internet landscape. A track like “Get Ur Freak On”, with it’s minimal sound and global samples, predates M.I.A’s pop/club-crossover tracks and other more contemporary underground club trends by years. I can recall being floored and mesmerized the first time I saw the video for “Work It”. I was old enough that there was a different context to seeing this that I didn’t previously have with her earlier generation of videos. This was post Y2K, right before YouTube happened, and the video had an immediate effect on me. From the off-kilter beat and Pan-Asian visual themes to the bizarre wirework choreography and self-referential physical comedy: it may not be obvious, but I’ve tried to hint at many of these elements in my own work. Missy Elliott has had a major comeback in the public’s consciousness this year. After her surprise appearance during Katy Perry’s halftime show at the 2015 Super Bowl, we saw an endless slew of bullet point articles written about her relevance and her legacy. I think it’s important to look at why. Beyond the fact that she’s had countless hits and sold millions of records, and beyond the fact that you can view her work through a feminist lens, I think that moment recaptured our collective desire for an authenticity and a dexterity in our pop stars that has been severely lacking. Her songwriting, her severely overlooked production work, her oddball aesthetic, and her endearing realness places her into a canon of pop artists that exist uniquely as themselves. Since producing tracks with Aaliyah and Timbaland to collaborating with K-Pop artists, Missy Elliott’s work spans two generations—from late ’90s MTV to the post-YouTube present. And it remains as vital as ever.